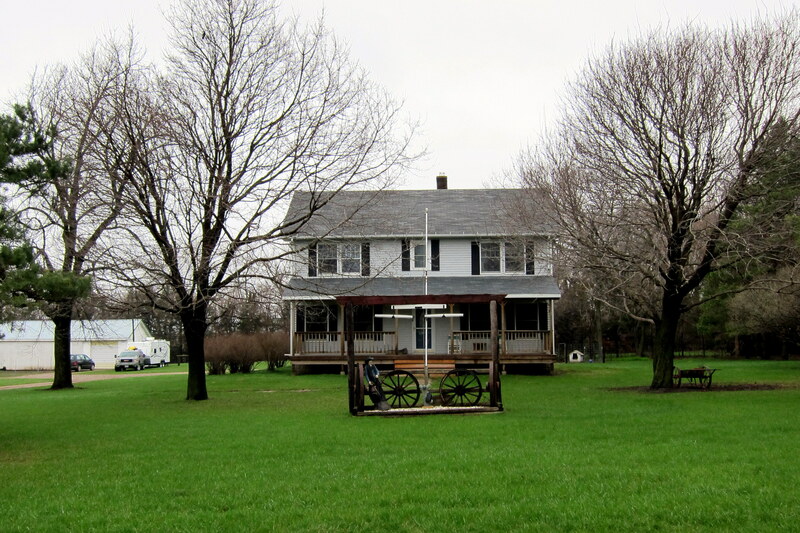 Sunday, April 24, 2011 and Monday April 25, 2011: Cherokee, Iowa: Spent a great couple of days with an old Navy buddy. Larry was my Chief Petty Officer when I was a young sailor on an old beat up destroyer out of San Diego. He was firm but fair and taught me a lot about leadership as well as the technical aspects of my job. When we were transferred to Norfolk it turned out that Larry and Janice had been transferred there as well. We became neighbors in Virginia Beach and rekindled our friendship by frequently getting together for holidays and family events. 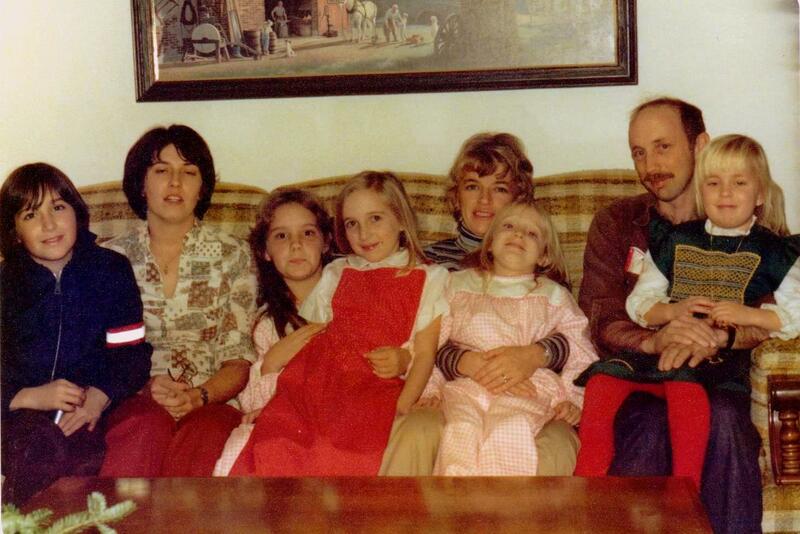 Here is a photo taken in December of 1976. Can you spot Kim, Joe and Suzie? After we retired from the Navy we lost track of each other only to reconnect a few years ago. Visiting Larry, Janice and their family became a goal of this year’s trip. While in Cherokee, Janice invited us all over for a great Easter dinner where we greeted their daughter, Beth and met her son, Brandon. Their other daughter, Lora and her family live in Aurora, Colorado and were unable to attend. 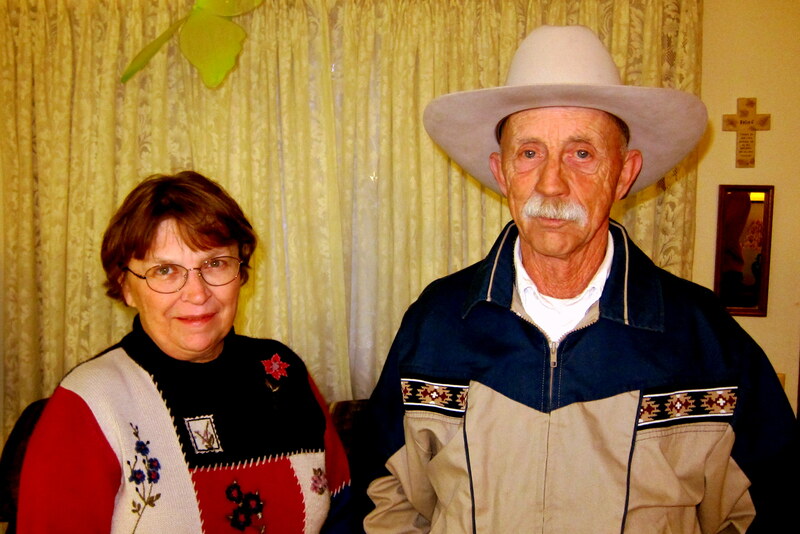 Larry and Janice grew up on family farms in the area and after a twenty year Navy career, they returned to farming. 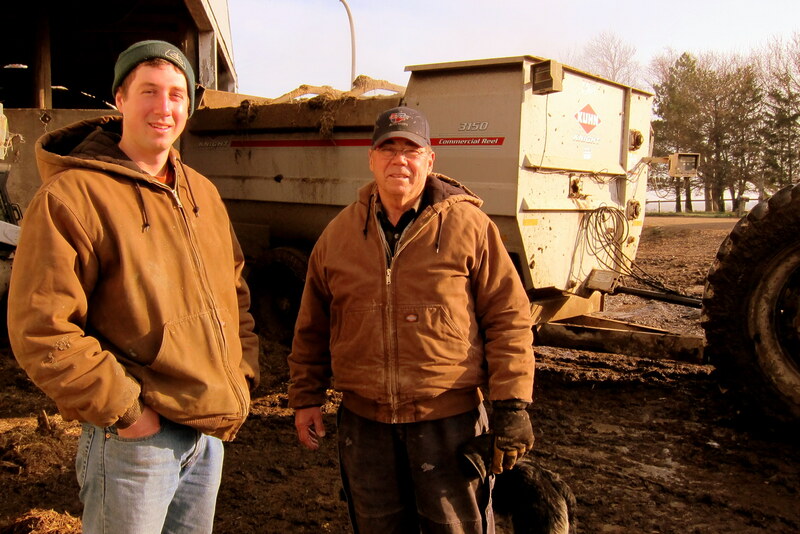 At 70 years old, Larry is still tending to this fourth generation family farm. However most of his 220 acres is rented to his neighbor down the road and the rest Larry uses to raise sheep. 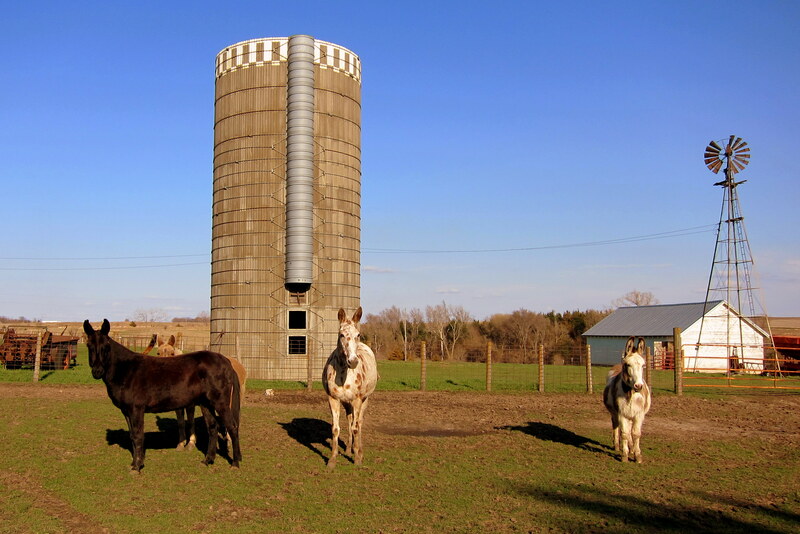 In addition he uses some pasture land to graze his mules and donkey. Larry is a member of the American Mountain Men, a primitive living history group that gathers for frequent Rendezvous. Here they live and hunt only with items that existed prior to the year 1840. He uses his mules for transportation and has handmade most of his tack, clothes, tents, bedding and weapons. 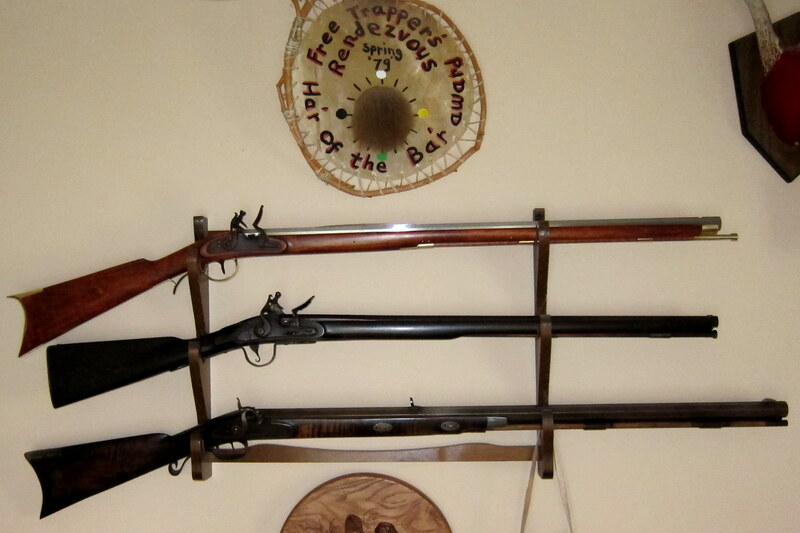 An avid hunter, Larry has harvested a deer each season with his black powder firearms. In addition he is an accurate tomahawk thrower, winning many competitions. While not off on Rendezvous’ or tending to his animals, Larry has restored the family farm house and graciously offered us a room for our stay. However, as usual, we preferred to stay in our camper asking for only an electrical connection. We actually prefer to sleep in the camper as it contains all we need and we are used to the bed. In addition, we believe it makes us very low impact when visiting the many folks along the way. Our mode of operation has been to treat our host to a meal at a local restaurant of their choice as a thank you for allowing us to camp in their dooryard. Being in the center of beef cattle country we all enjoyed an excellent steak dinner at a local establishment. From farm to dinner plate is usually a very short distance, ensuring the freshest possible meat. As I mentioned, Larry keeps his hand in farming and enjoys raising sheep for wool as well as marketing their offspring. 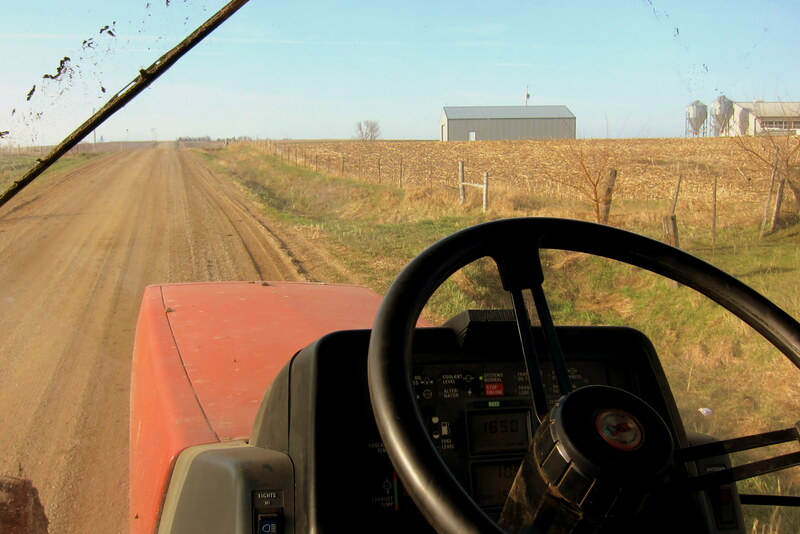 As a city kid, I was fascinated by the farming operation and asked Larry to let me tag along on his daily chores and put me to work. At 0530 he was up feeding the sheep and checking on their welfare…..I scrambled to get dressed and down to the barn. 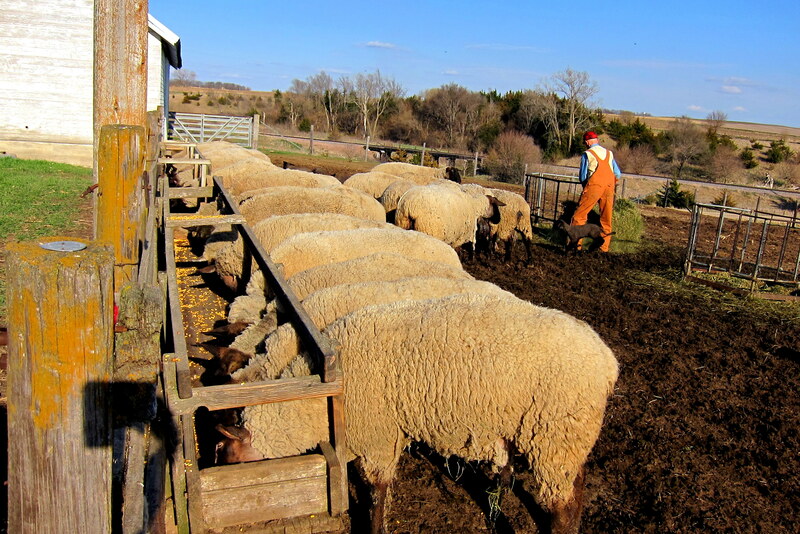 Since it was “lambing season”, there was the added chore of checking on the expectant mom’s and standing by in case any of the infants had to be “pulled”, a rather messy job of assisted delivery. Fortunately all the births while we were visiting where normal. The photo below shows one proud momma with her two new offspring…..as usual; daddy was off smoking a cigar somewhere. 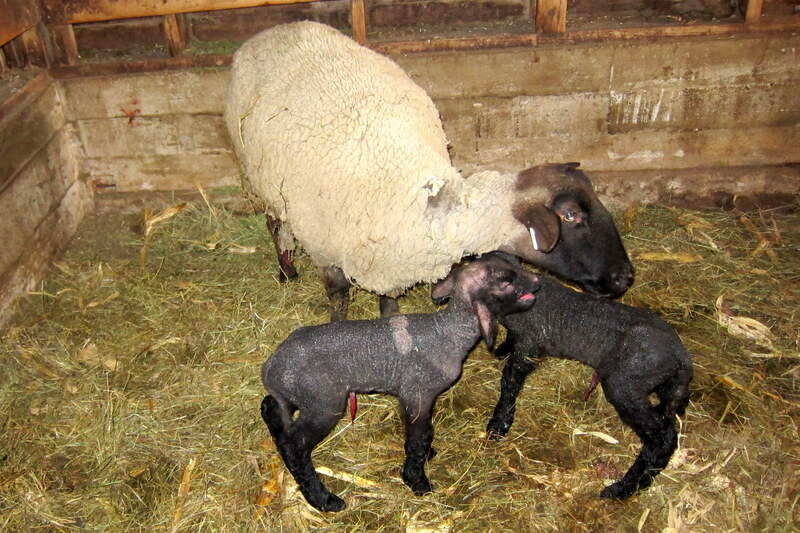 Both lambs were just minutes old, the one on the right came out last. Yep, most sheep have twins…..however Larry reports that on occasion, triplets or even quad’s can arrive. However the average “yield” for a season is 200% due to some Lamb mortality. Larry mentioned it is bad luck to name the Lambs, but I couldn’t resist. The little fella on the left I named Chop and the one on the right; Legof. 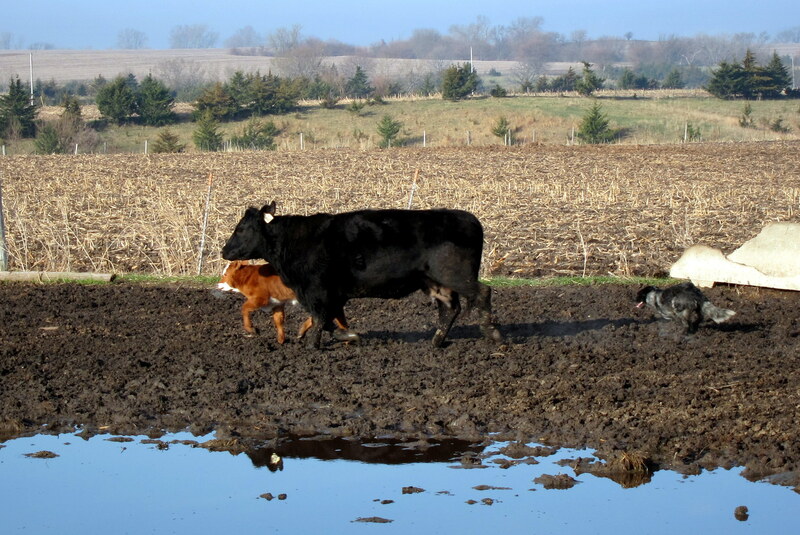 According to Larry, most farm animals know instinctively what to do and when to do it when their babies are due. 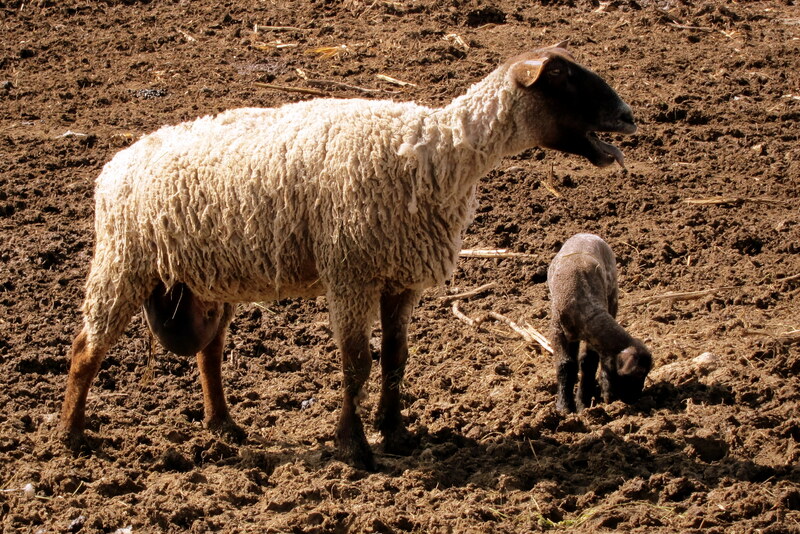 The momma sheep breathed rapidly then held her breath and pushed…..out slid the little Lamb. No prenatal Lamaze training needed here! After a healthy birth, the next concern is whether mom will accept the newborns and whether the young lambs can suckle. 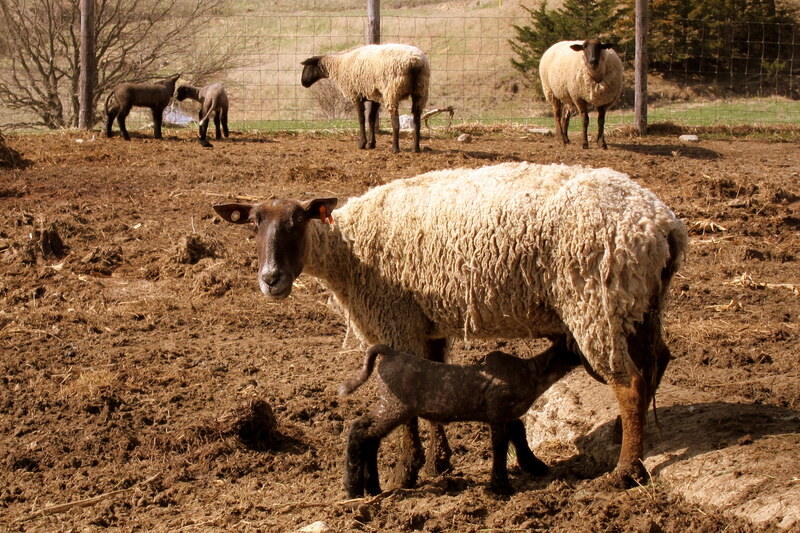 If the lambs do not take to their mom, then they are bottle fed until they can accept normal feed. Fortunately these two youngster’s fed like old pros. Here is mom calling one of them to lunch. And young Chop came running to enjoy a meal. Apparently in Iowa breast feeding in public is common…..as well it should be; right Suzie? Another chore I helped him with was installing a fence to allow the pasturing of the sheep. They feed on corn and grain during the winter but since spring was producing growth in the yard he allows them to free range and forage for their food. 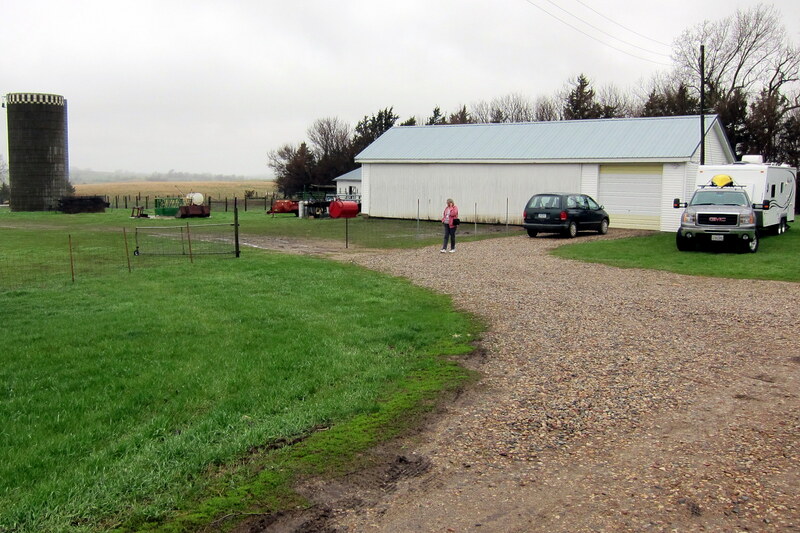 The area we fenced is between the sheep barn and his machinery shed. 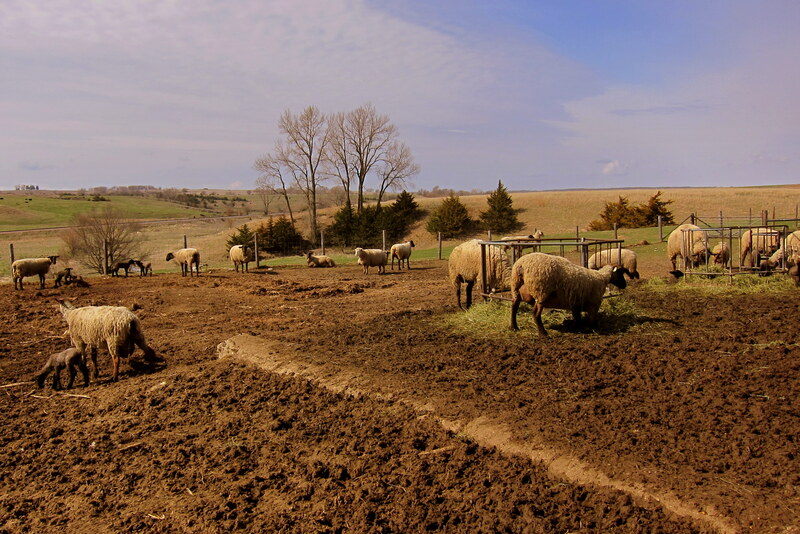 Usually he would have to mow this area to keep the field in check…..however by creating this “summer pasture” he feeds the animals and they trim, and feed, the pasture. A win-win-win arrangement! I spaced out the fence poles and held them in place until he was able to place the tractors bucket on them. Then I stood aside as he used hydraulics to push the metal poles into the soil. Worked pretty slick…..we had the entire fence in place in about 90 minutes. 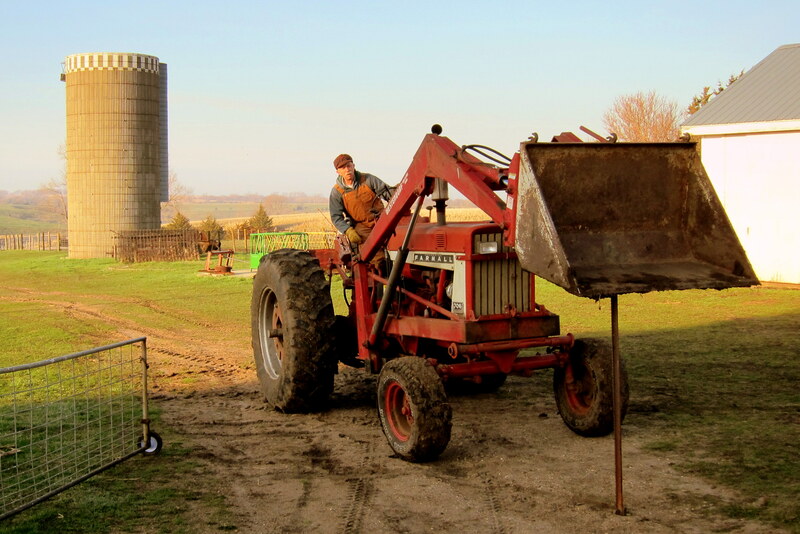 Larry’s farm is organic…..always has been. He gets a kick out of all the hype surrounding the “organic food” movement. 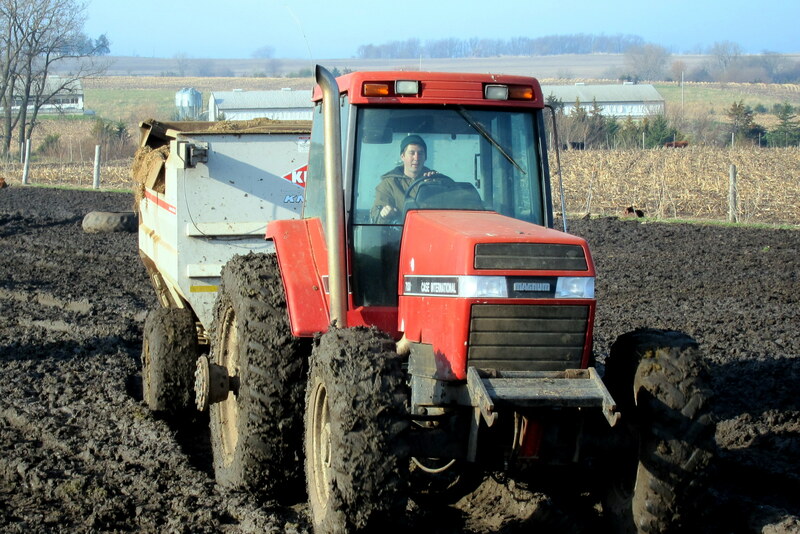 He claims that most family farms use natural methods to grow corn, wheat and livestock. Why? Because it works and is a lot less expensive. As I mentioned, Larry is an avid hunter. 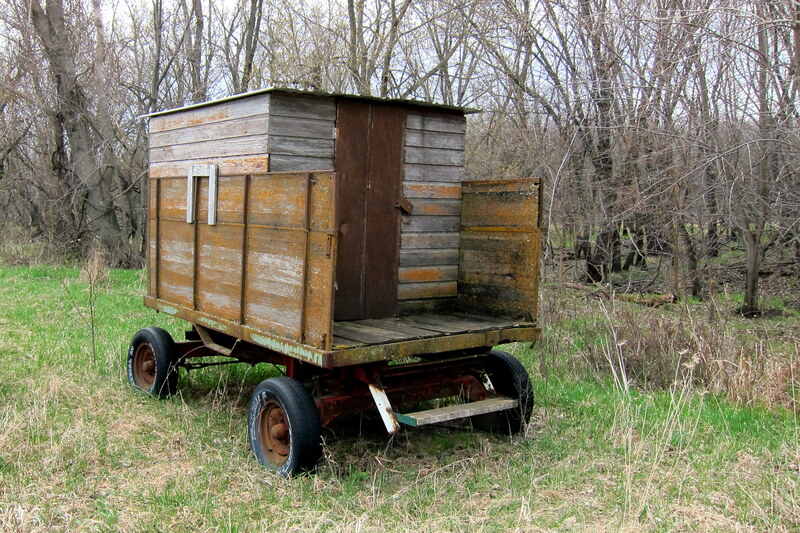 He converted an old grain wagon into a mobile hunting blind complete with dropdown windows and built in benches. If the blinds location proves unproductive, he just hooks it to the tractor and moves it to a new location. Larry’s nearest neighbor is about a mile down the road. Nate, an Iraq combat veteran with two tours in “The Sandbox”, and his father run a beef cattle operation and lease some of Larry’s land. 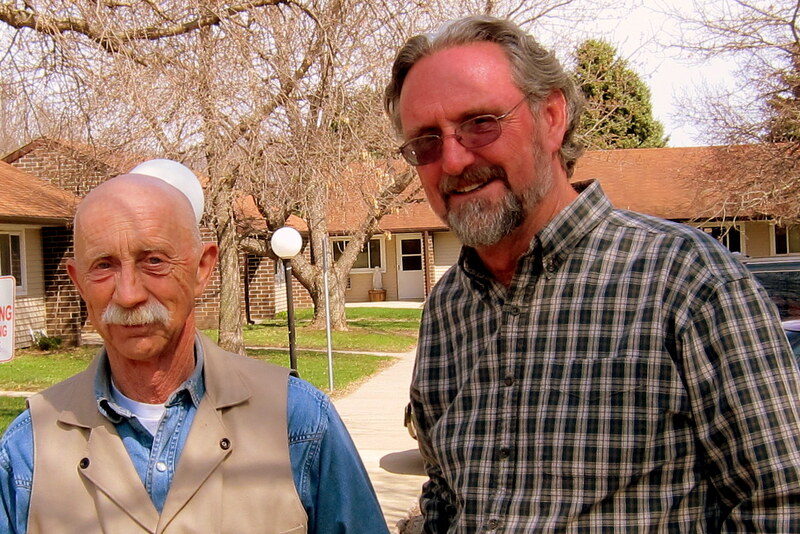 One morning Larry and I drove over there so he could introduce me to these two fine American farmers. They were busy getting the morning chores accomplished but still made time to answer my incessant questions. 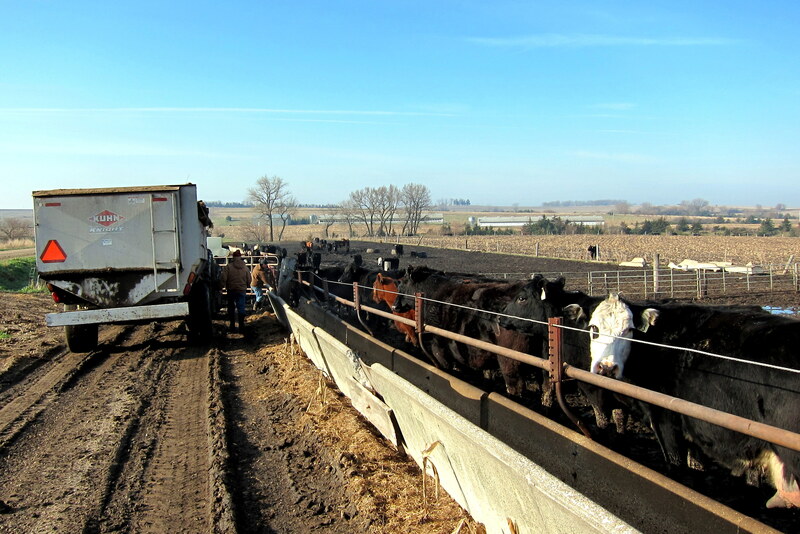 This morning they were mixing silage (corn, corn stocks, and wheat) with Distillers Grain (a byproduct from making ethanol) in a large automatic grain wagon and then ran the fence line to feed the animals. Returning from the upper feed lot, Nate asked if I wanted to ride along down to the lower one. Of course I jumped at the chance. What a great experience for this city kid! This cattle operation wouldn’t work without the help from their roundup dogs, a pack of Blue Heelers. Here one of them is chasing mom and son into the feed lot. Speaking of dogs…..Larry has a farm dog as well. 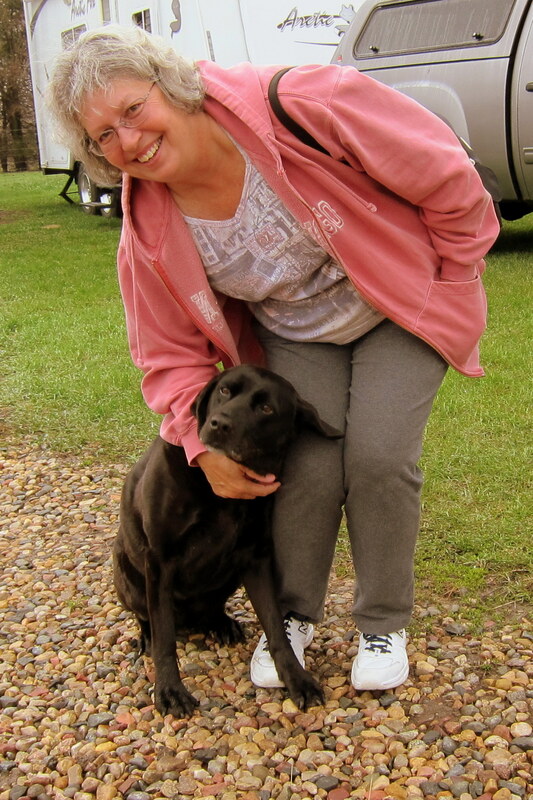 Lena is a very well behaved and loyal black lab. Kit made an instant friend with a few scratches behind the ear. Oh by the way…..that works for me as well. A great time on the farm with some great folks. 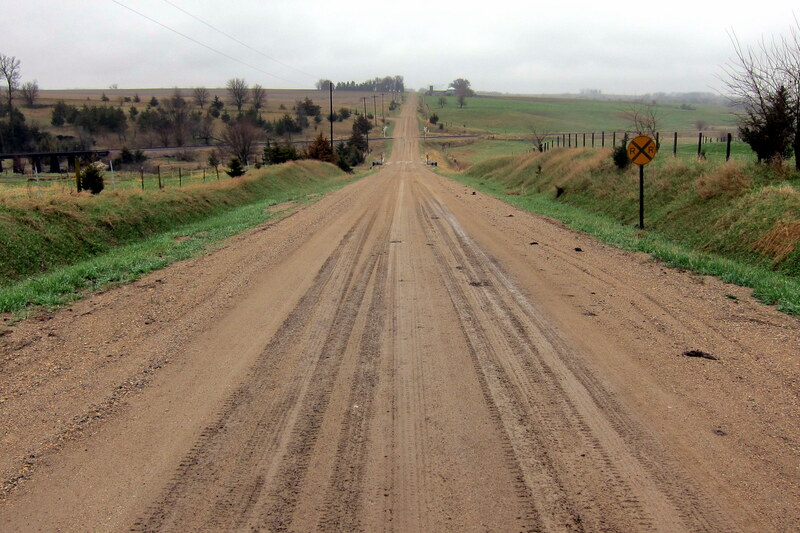 Cherokee Iowa is on our list of must stops for future Excellent Adventure trips. Thanks Jan and Larry! 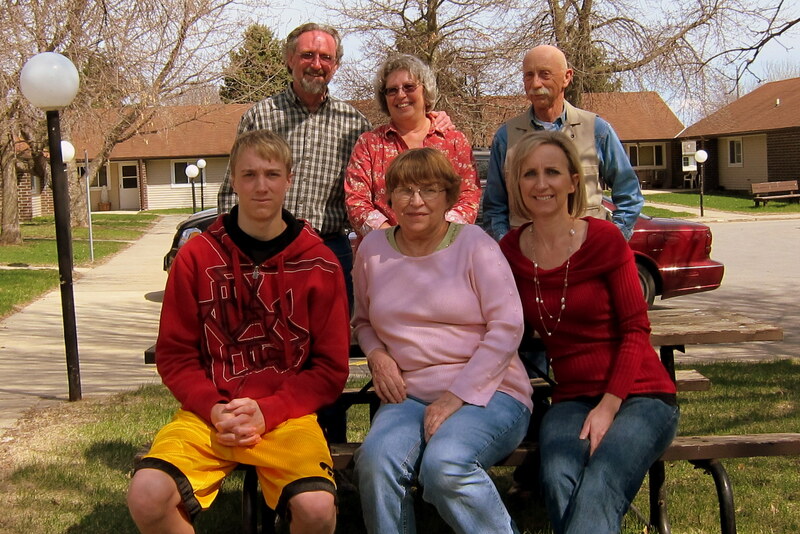 Kit’s Eleven Cents Worth: We had a most enjoyable time with Larry and Jan in Iowa. Since we had not seen them for about 35 years, it was a very emotional reunion. We had spent quite a bit of time together when we were younger, both in San Diego and Virginia Beach, when our kids were very young. As with many military families, when Dad was gone and Mom was holding down the fort, we shared good times and bad – depending on each other for support during the rough times. As I have always felt, being a military family, we often depended more on our friends than family for support, thus becoming very close with friends. This reunion visit with Larry, Jan, Beth and Brandon has been wonderful. They were so accommodating and it was very hard to leave to continue on our journey. Next time through, we will definitely stop to visit them again. And, maybe, they will make it up to Maine one of these days so we can share our little corner of the world with them. Thank you, Larry, Jan, Beth and Brandon for such a wonderful time. Kit, you so need a dog!!!!!!! 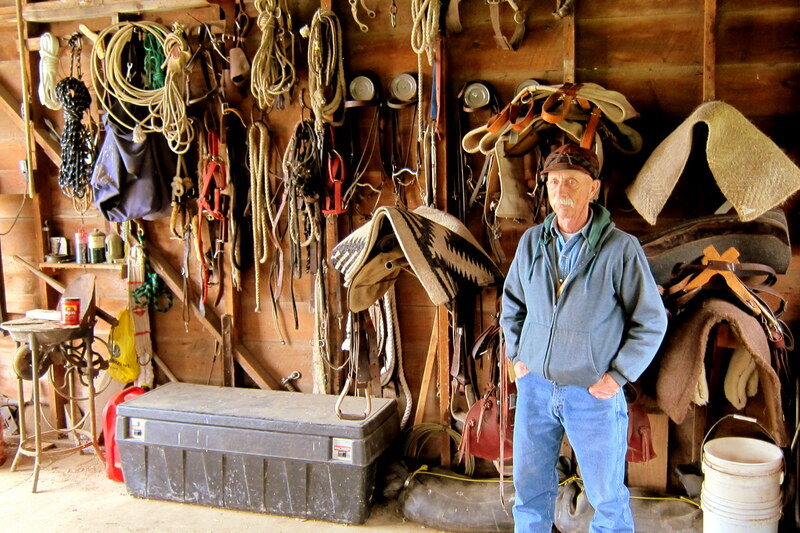 Something else we have in common…old Navy friends who have a cattle ranch in SE corner of Colorado…we have visited them several times over the years, and “played cowboy”, roundup, branding, etc. John R. got to fix the wiring on a stock trailer, plug alfalfa in the ground as well. Last visit we attended the Little Britches Rodeo at Springfield, CO to watch their grandchildren in action! Great to keep in touch with old Navy buddies! They married just after we did, June 1958! Keep on truckin’ folks, have a good safe journey back home. A cow? Great idea…..however Suzie will have to help me figure out how to milk it.